Scratched Leather Case Sleeve for Macbook 12 PERSONALIZED. Tan Brown Color Vintage Look Bag With Rivets. 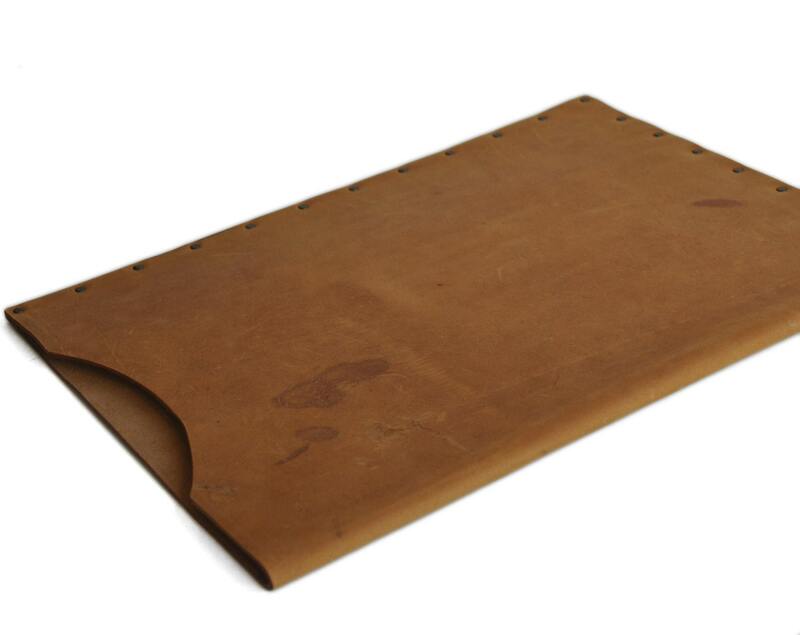 Scratched Leather Case Sleeve for Macbook 12" PERSONALIZED. Tan Brown Color Vintage Look Bag With Rivets. Please tell me your word, initials or name in the "Notes to HAPPER" box during checkout. 14 characters is the maximum! If you need more letters, please convo me. I use "Bookman Old Style" 36 size font (9 mm in high). All letters are CAPITAL. We proudly present to you our Brown Case! 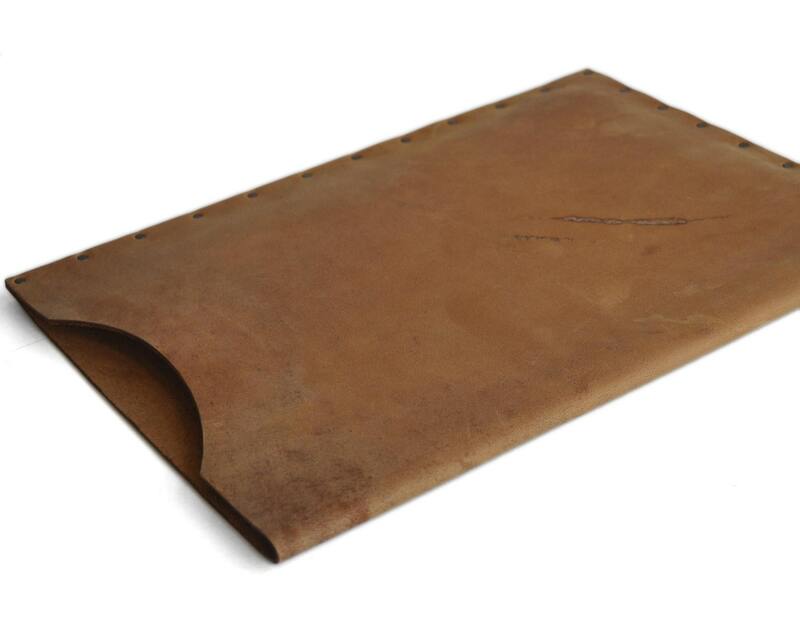 Made from the best leather we could find, this cover is sure to keep your device safe. 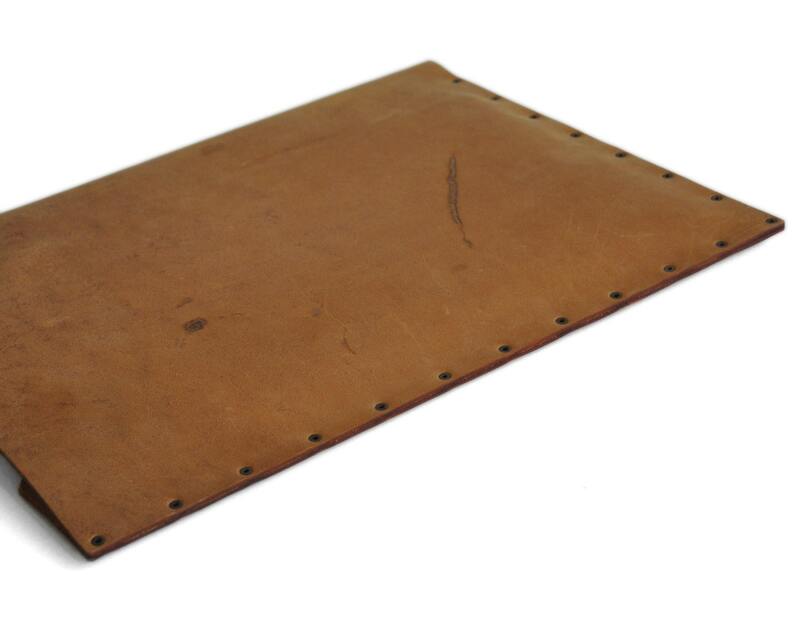 With leather that measures approximately 2 mm in thickness, the case itself is very strong and dependable. The case is sure to be strong and high quality, and the case will also constantly keep your device free of dust, scratches, and other damages while the device is tucked away. Happer Logo is optional on all products. We pride ourselves on providing fast shipping on all of our products, as we will ship the same or next business day. Although we guarantee that you enjoy this Microsoft Surface Pro 3 case, we provide you with after sale support; if you are unhappy with your purchase of this handmade item then we are willing to take it back! Happer Studio is a loving, family-run business that specializes in hand-made leather bags, sleeves, laptop cases, and accessories. Every product is handmade with love, and we guarantee you will be satisfied with your product – if not, send it back to us! That’s right, return our product if you don’t like it! We pride ourselves on providing our customers with the highest quality items, and we strive to provide modern, yet timeless, designs. Enjoy your shopping in the Happer Studio Store! Not the tablet cover you’re looking for? Here are our other covers!